Armenian Christianity seamlessly blends patriotism with piety. Beginning with the inception of the Armenian alphabet at the beginning of the fifth century, the author surveys the intersection between these two elements in ancient Armenian sources spanning one thousand years. He shows how the themes are used as literary motifs in medieval panegyrics dedicated to St. Gregory the Illuminator, the founder of the Armenian Church at the dawn of the fourth century. Terian focuses on the panegyric of Hovhannes of Erzenka--the prolific thirteenth century author--to explain panegyrics in ancient Armenian literature. Consequently, Hovhannes of Erzenka's work receives ample attention in Terian's unique study, including a translation of the entire text with extensive commentary. 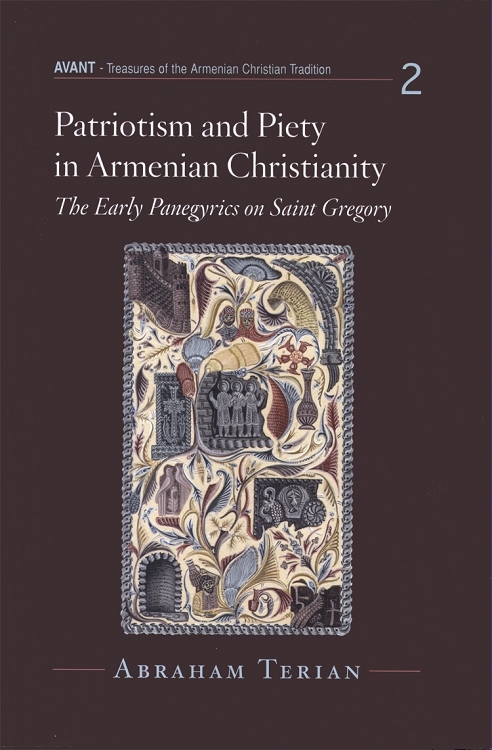 Annotated selections of other panegyrics on St. Gregory complete the book, the second volume in the Avant series devoted to the study of Armenian Christian heritage.